The Quattroporte name dates back to 1963. 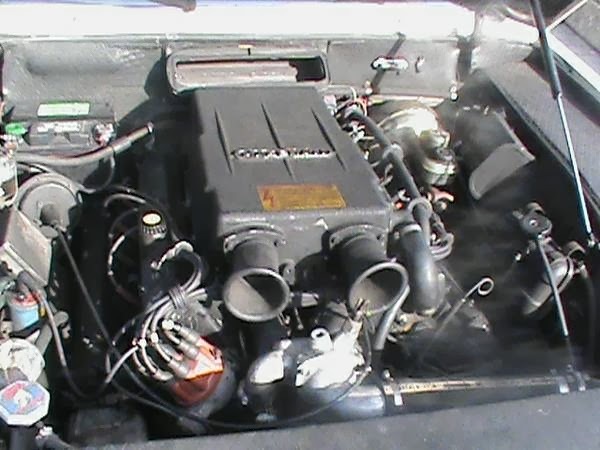 The first Quattroporte was a Pietro Frua designed sedan with a V8. Just under 800 were built during its 7 year run. Maserati reintroduced the Quattroporte name in 1974. The Quattroporte II was designed by Marcello Gandini. Citroen owned Maserati at this point and the Quattroporte II sat on a lengthened Citroen SM chassis. It was FWD, and used Citroen's hydropneumatic suspension. The biggest downside to this car was the engine. It was a V6. 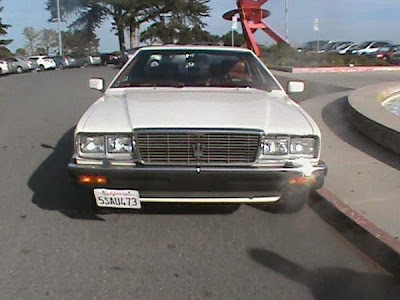 Top speed was 126 MPH, down from the 160 the earlier Quattroporte could do. 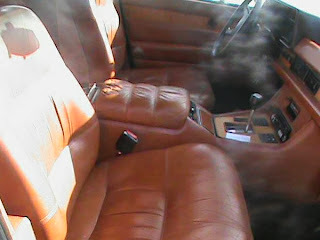 Between 1974 and 1978, just 13 Quattroporte IIs were built. Alejandro DeTomaso acquired Maserati in 1975. 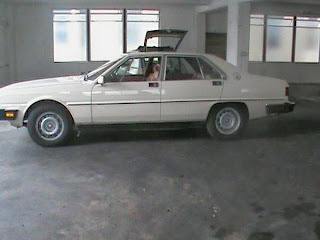 Almost immediately he set out to create a new Quattroporte. Based on a Giorgetto Giugiaro design, the Quattroporte III was introduced in 1979. 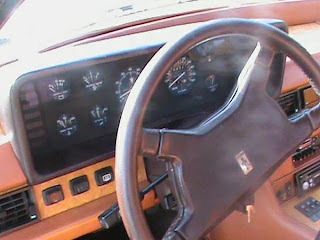 It shares much of its chassis design with the Kyalami coupe, which was based on the DeTomaso Longchamp. Around 2500 were built. The Quattroporte III was designed to compete with the BMW and Mercedes sedans of the day. In performance and luxury it competes well with the German brands. In terms of reliability and maintenance costs, that's another story. The 4 cam V8 engine has its origins back the 1950s and, with regular and religious maintenance, is reliable. The Chrysler TorqueFlite transmission is virtually bulletproof. The two big issues with the Quattroporte are rust and electrical problems. Both can cost more to repair than the car is worth. The key to buying a Quattroporte is to buy the best one you can find. DeTomaso era Maseratis have not increased in value yet. Very, very nice Quattroportes can be found for around $10,000.00. Trying to save a few thousand dollars on the initial purchase price could cost you many times more in the long run. 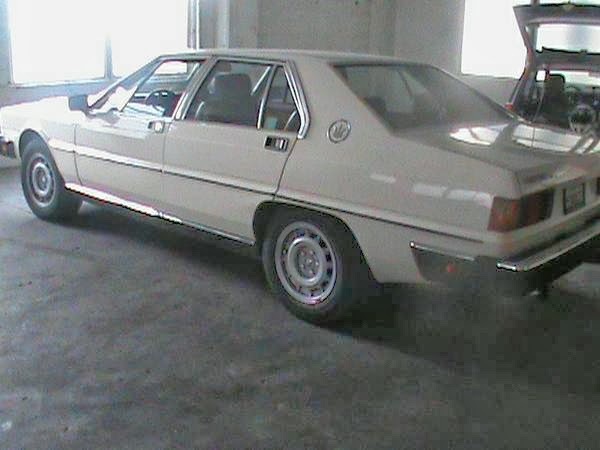 This Quattroporte is a two owner car. It does not sound like the seller is the owner. He states that the current owner is a mechanic. That's a little vague. If he's a knowledgeable Italian car mechanic (or better yet, a Maserati mechanic), that's good. If he works at the corner garage and used to working on Toyotas and Hondas, that doesn't mean much. The seller says the body is in good shape, with just a few scratches and dings. The interior - which is about as luxurious as any interior you'll find in any car from this era, Rolls Royce and Bentley included - is also said to be in nice shape. That's important, as restoring a Quattroporte interior is an expensive proposition. Mechanically, it is said to run well. The smog equipment has been removed, but is included with the car, if that causes any problems in your state. The transmission has been rebuilt (odd). It needs front end bushings (common), which are included with the car. If you're looking for a big, fast, rare Italian sedan that is fun to drive, this Quattroporte is worth looking into. I happened to be behind one in Monterey and it was the nastiest sounding V8 I've ever heard. Truly an iron fist in a velvet glove. At this age I can't imagine there's much difference in maintaining a contemporary Benz v. This lovely beast, I'd like mine as a 5 speed though. That's a scratched camera phone lens, nothing to be done about it.